Only 5 days to go until the start of the 2016 Bedminster Winter Lantern Parade! Awesome, right? Here’s the 11 things you need to know about the day. By now you should know if you are going to be walking the Parade this year. 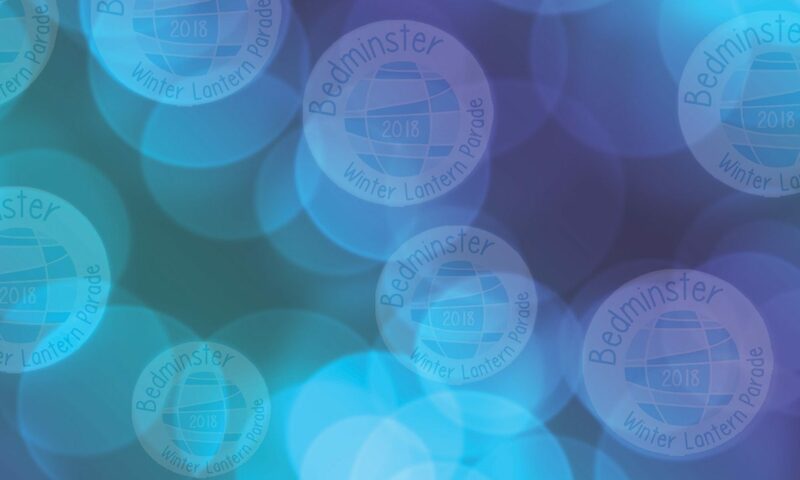 In a nutshell, if you are part of a registered lantern group, or you have registered your wristband to be in the Bemmy Mix group you’re your own splendid lantern, you are what we affectionately call a Parader. 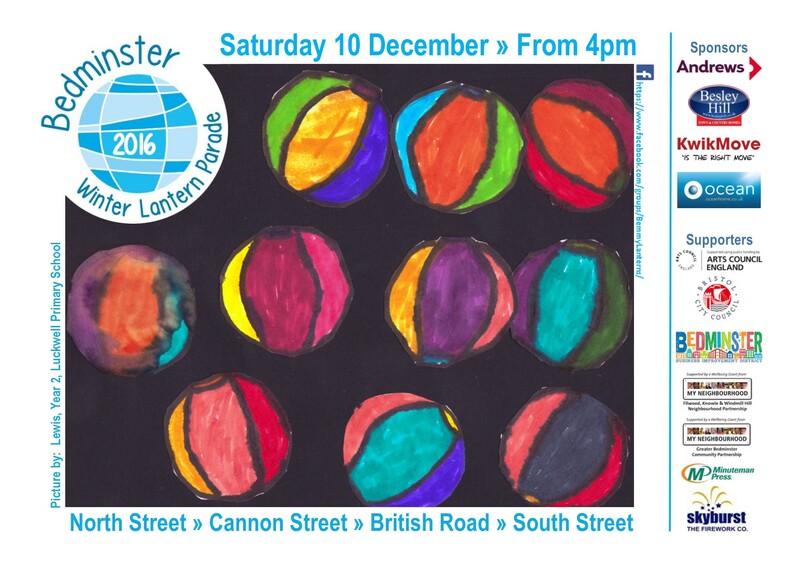 Get yourself to the muster point by St Francis Road, find your group and get ready to light up Bedminster! If neither of the above is you, then this year you are a Standabouter. 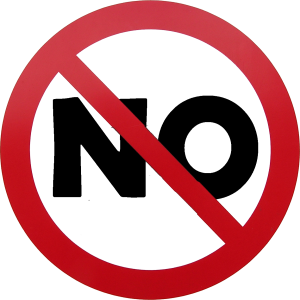 I’m afraid Standabouters are not covered by our Parade insurance, so you won’t be able to walk in the Parade this year. You’ll be able to bag yourself a good viewing spot and watch friends, family, bands and fabulous lanterns go by. The route is the same as 2015. Starting at St Francis Church (just by Aldi on North Street), we’ll be going all the way down North Street and up along Canon Street. Then we’ll be hanging a right just after the London Inn and walking up British Road. We’ll be finishing up on South Street outside Compass Point School, where the awesome fireworks will be set off by Skyburst Fireworks Company. BOOM! The main roads on the route will be closed from 3pm, so you can enjoy the delights of the streets without traffic. The route will be closed until 6pm. 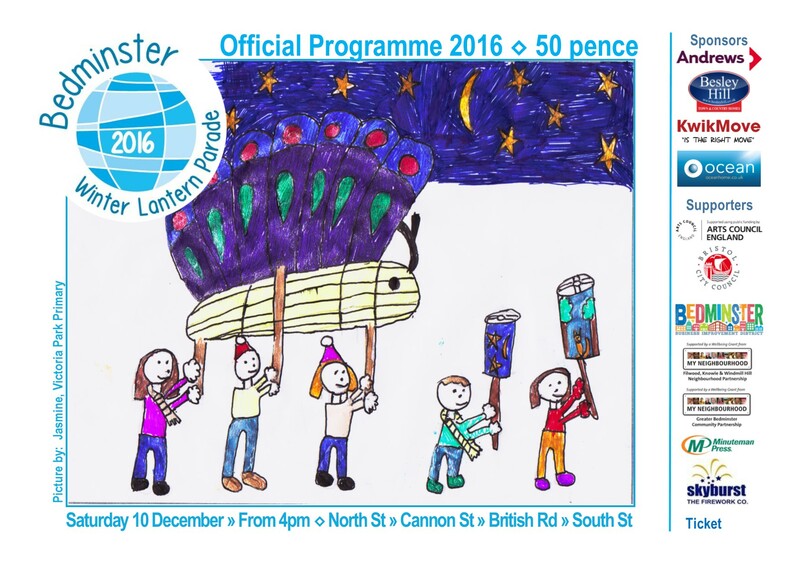 There’ll be a bunch of things to do and see from 3pm, including some musical entertainment. But make sure you find a good viewing spot sharpish, so you can see the Parade in all its awesomeness. The Parade will start at 430 sharp, and will finish a touch over an hour later. There’ll be a chance for Paraders to grab a bathroom/hot drink break and the fireworks will start just a little after 6pm. Yes! There are a few super viewing points dotted along the route. You can have a wander and pick any place you fancy, but If you would like some help finding the best viewing or photography spots, get your hands on one of the Parade Programmes. They are on sale at a number of places listed in the previous post, but will also be available to buy on the day from stewards along the route. Make sure you wear warm comfortable clothing and sensible footwear. It is December, it will be dark and cold. No unaccompanied children. I don’t think that needs any further explanation. Make sure you keep within the Parade (you don’t want to get lost or go the wrong way) and please follow the instructions from our lovely stewards who are there to help make sure the Parade goes smoothly and safely. 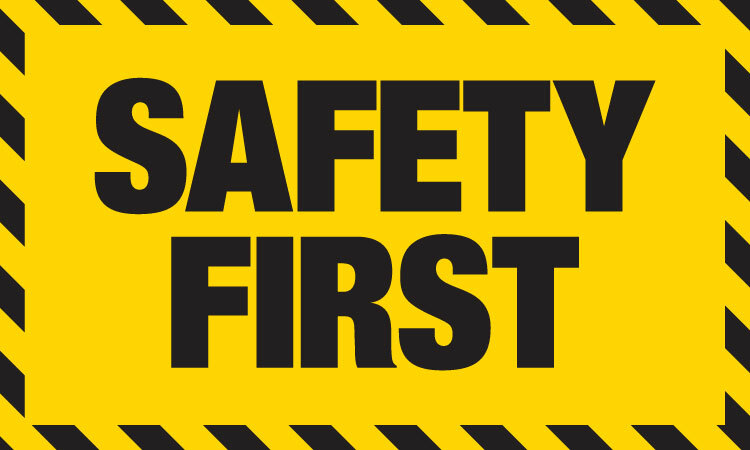 On top of that, make sure you follow any instructions the Route Masters, Safety Officer or Parade Leader give you. While the Parade looks totally awesome, if you are not a registered participant, please don’t join in. It is actually really dangerous to do so and causes total chaos. When you are watching said awesomeness, you might see friends or family on the opposite side of the road. If the Parade is already passing you, please do not try to nip across to say hello. Just wait until the back end of the Parade has passed you. To all grownup Standabouters please make sure you keep any little ones you are responsible for safely with you on the edge of the route, and don’t let them dodge into the Parade. 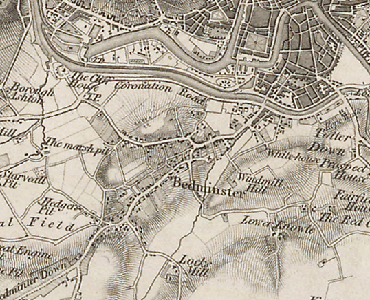 Bedminster is chocka block with lovely places to eat and drink, so make sure that you sample some of the fine wares that the area has to offer. On top of that, there’ll be a number of food and drink stalls at the end of the route, including the fabulous Hopper Coffee van. So make sure you bring you pocket money! There’ll also be some bucket-carrying Parade volunteers walking along the route. So if you would like to donate a penny or two to the Parade, please do feel free to bung any donations in the bucket as they go past. They have been on an intensive weight lifting programme this year, so can carry lots of pennies about! We all love our pets, but they won’t love the event. There’s no rule against you bringing along your pet, but it will be noisy and crowded and there will be fireworks at the end, so they might not thank you for it. Maybe leave them at home if you are worried. Calling all budding photographers, experienced paparazzi and enthusiastic selfie snappers! We want to see what you see. Please take loads of pics and tweet us (@bemmylanterns), share to our official Facebook group or the official event page, using the hashtag #bemmylanterns or even email us at info@bwlp.org.uk. I’ll be putting a gallery of 2016 photos up here, so bung your pix our way. That’s it. I’m done for now. So now you know all you need to have a fabulous time on Saturday. Just keep your fingers crossed that the rain stays away! I’m off to do a non-rain dance.